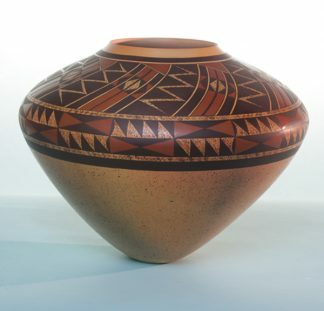 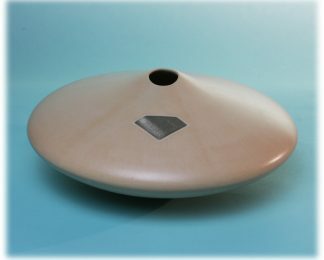 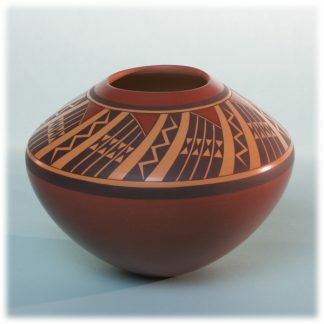 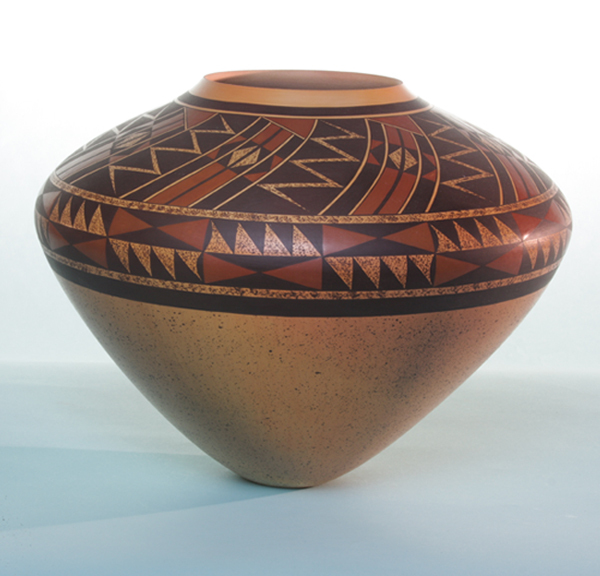 Steve Lucas Cosmos Design bowl measures 8 1/2″ high by 11 1/2″ diameter. 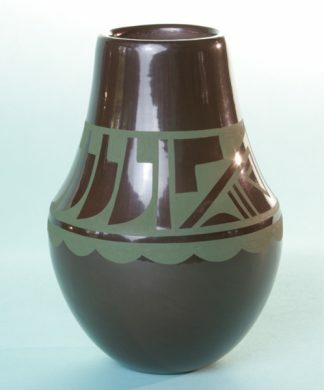 This is a great shape with a narrow bottom that accentuates the 4″ opening with a plain polished band around the lip. 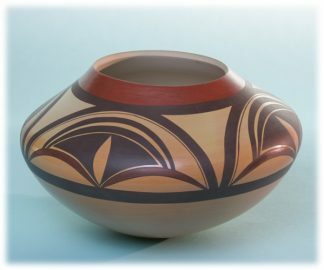 The speckled paint on the lower portion of the bowl represents the cosmos.